A few words about this web site, it was first launched at the end of February 2009. The story of Farasuto and the people involved in it unfolds as you read the various pages of this web site. John Tucker and his brother Peter were on a birding holiday in the Gambia 2–23 January 2009, initially with other family and friends except for two weeks alone but for a guide, largely on an up-country birding trip. While near the coast the two got to know Kuloro and Farasuto and became involved in plans for a reserve there. All texts for this site have been written by John and the web design has been by Peter – all work being gratis. John has begun work on a Management Plan, which the site needs into the future. Farasuto Forest is a relict patch of what might best be described as ‘wet evergreen forest’ though the place is only really wet during the rains – broadly from June to October. “‘About a century ago most of the Gambia … was reported to be covered by dense and almost impenetrable forest even after large areas had been cleared for groundnut cultivation. At that time the forests were rich in wildlife … [and] habitat for a variety of large mammals which are nowadays rare (such as hippopotamus, waterbuck, roan) or extinct (such as buffalo, giraffe, elephant, lion etc. )” FAO Corporate Document Repository. For those unfamiliar with true forest then ‘jungle’ might conjure up the right image; magnificent tall trees with buttress roots, darkness, heat, humidity, dense greenery and the inability to see more than a few metres down the track and often much less into the vegetation at your side. And silence but for strange sounds – songs, cries and calls emanating from things unseen even when you search for them. That is during the wet season – access is easier in the dry season. Farasuto Forest (sometimes referred to as Farasutu Forest) is among the few remaining and now isolated forest patches left in the whole of the Gambia. It transpires that the forest surrounding Farasuto was cut down about 60 years ago (from local information), that is in the late 1940s. The section which is now the reserve was left as the place for ceremonial male and female circumcisions. It may be compared with the somewhat larger Abuko forest which will be known to many visitors to the country. Abuko is the Gambia’s largest remnant block of forest (around 45 ha, 110 acres; more if you include the reserve’s woodland) and is apparently the Gambia’s most visited tourist destination. Farasuto Forest is small in comparison (4.5ha, 11 acres) and lies about 10 miles south-east of Abuko. 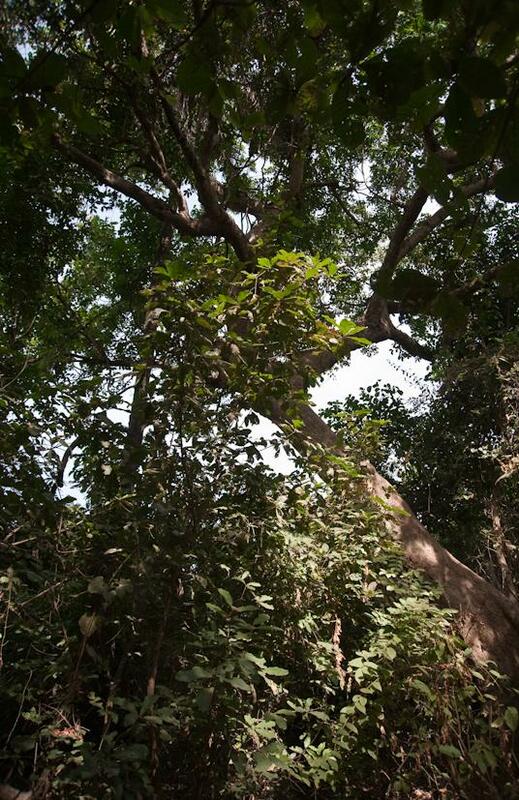 The Gambia’s remaining forests accommodate a singular suite of organisms. 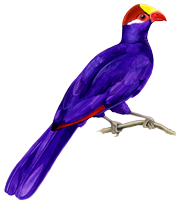 The assembly of birds unique to West African forests is well-known, generally well documented and is also outlined here. Other forest plants and animals are equally restricted in their occurrence, unique to the habitat though less is readily available about them and there are fewer specialists identifying and recording them, certainly not in comparison to the attention accorded to forest birds. The significance of Farasuto forest is fully understood by the people of Kuloro, the village within which the site lies on the southern banks of the Gambia River 11 miles due south of the capital Banjul. Local people concerned about the site (the forest patch and some adjoining woodland, total area around 9ha) and its future held the first public Open Day there on 25 October 2008. Peter and I were introduced to the site during a three-week visit to country in January 2009 and an open meeting was arranged, with all village interests attending, on 20 January. Through an interpreter I explained that I was prepared to help prepare a Management Plan for their nature reserve. The offer of help was very gratefully and warmly received and work has begun. The Management Plan is an essential component in plotting a secure future for the site and its wildlife, not least its birds – its major attraction. The Plan will also act as a bidding document for the works identified as necessary for successful and sustainable management into the long term.